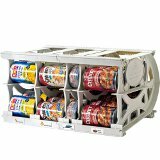 I usually only post food storage deals under the deals tab, but there are a couple of great deals this month that I think everyone will want to know about. 1 Week only: Try the new Gamma Lids at the same price as the old buckets! 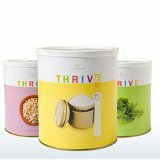 All THRIVE buckets will now have a special new feature—lids that screw on and off for easy access to the foods you use every day. These gamma lids are easier to reseal and more airtight than our old lids, keeping the food fresher once the bucket is opened. Because we’re so excited for you to try out our new lids, we will be offering buckets with gamma lids at the same price as our old buckets for one week before the pricing will be updated. In cases where the updated pricing is cheaper than the old bucket pricing, the price change will be effective immediately. Try out gamma lids today and enjoy easier, longer access to your favorite THRIVE foods! Promotion prices are only valid until February 23rd! Both the cheese 6 Pack and Chicken and Beef 6 pack will be on sale until March 18th 2012. These are great packages and the sale is even better! If you have been wanting to add cheese or meat to your food storage these are amazing prices! You save $89.39 off the already discounted home party price. You save $77.64 off the already discounted home party price. To order these packages; e-mail heather@teamshelfrealince.com or call 435-535-1470. These great deals are not available online. No coupon needed. Prices below reflect #10 (gallon sized) can, but all sizes are on sale.